First is the Day Timer Planner Kit! Yep.. One Lucky winner will everything in the above picture! You can check out both of my videos on this giveaway.. Hurry up and use the form below to get entered!!!!!! You have till Midnight the 31st to get entered! The winner will be announced on November 1st! 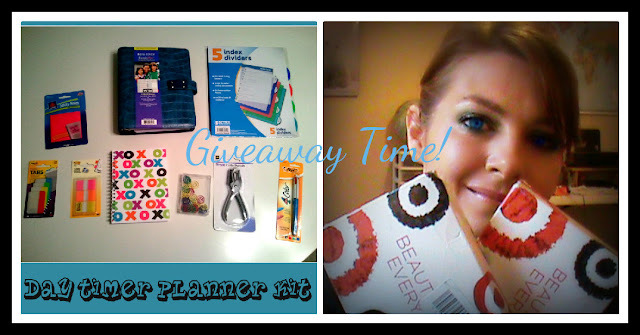 And the second giveaway going on is for the Target Beauty Bags! Did you miss out signing up for one of these freebies!? Well if so.. get entered for your chance to win one. I am picking 2 lucky winners on Monday November 5th! Again.. use the form to get entered!